Fairfield Ludlowe High School's 13th Annual Commencement Exercises in Fairfield, Conn., on Wednesday, June 20, 2018. FAIRFIELD — The graduation dates and last day of school for Fairfield high school students has been scheduled June 14 for the 2018-19 school year. “It is also proposed that Friday, June 14, 2019 be the last day of school as an early dismissal day, district-wide for all students. With this proposal, Fairfield students will have 181 instructional days,” an email from Schools Superintendent Toni Jones on April 9 stated. Teachers are required to report the following Monday, June 17, in order to meet their contractual obligations, Jones added. The Board of Education approved the June 14 graduation date unanimously at its April 9 meeting. Board member Jennifer Maxon-Kennelly noted that there had been some confusion among residents regarding the date and location for graduation. Other school board members had hypothetical questions about upcoming inclement weather. Jones responded that, under state law, there have to be 180 instructional days of school. At the current pace, students are on track for 181 days. 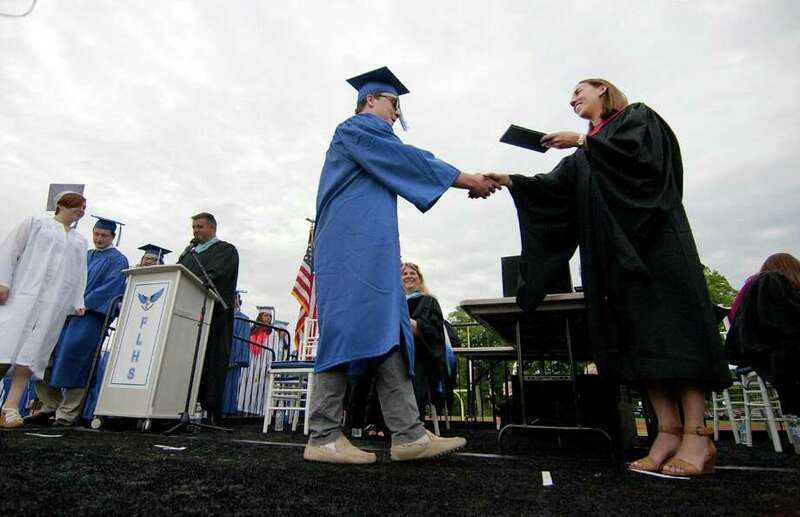 Bob Smoler, president of the Fairfield Education Association, voiced concern during the public comment session that the graduation date would be difficult for observant Jews to attend due to a religious holiday that same Friday. Jones added that students may also have college orientations the Monday after graduation and that many factors were taken into consideration. The award ceremonies, annual events for seniors at both high schools, are scheduled for the day before graduation, June 13.